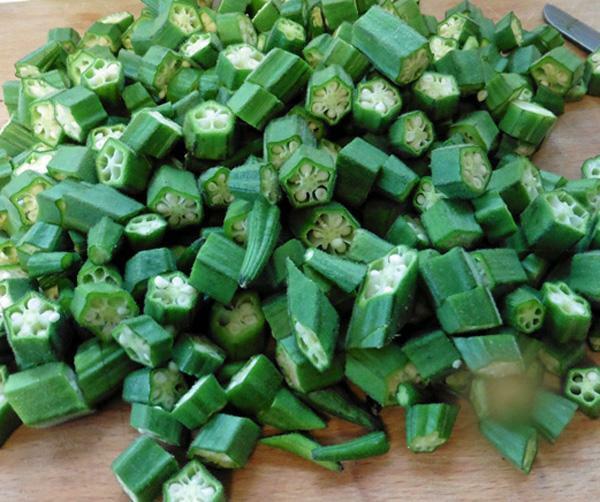 A couple of fresh red or green chillies sliced. Red ones look nicer. 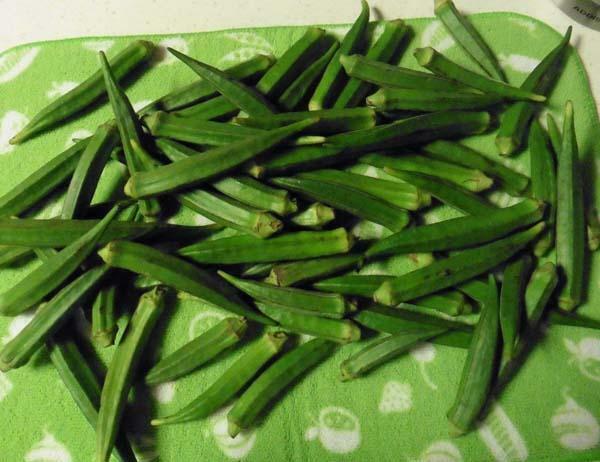 Wash and thoroughly dry bhindi. This is important, if they are wet, the curry will become very slimy! You can spread them on a kitchen towel for a few hours to dry properly. You can also give them a rub with the kitchen towel. 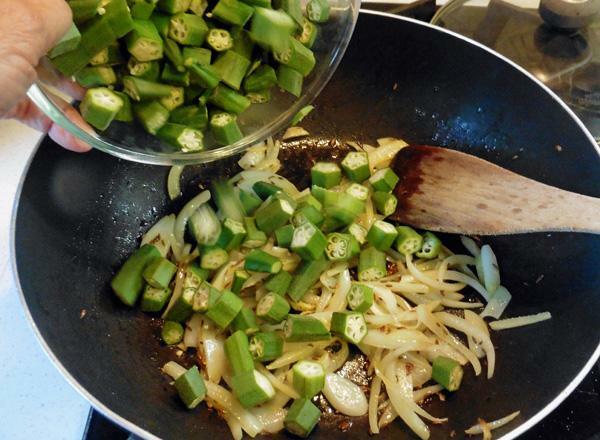 Remove and discard the stalk end from each bhindi. 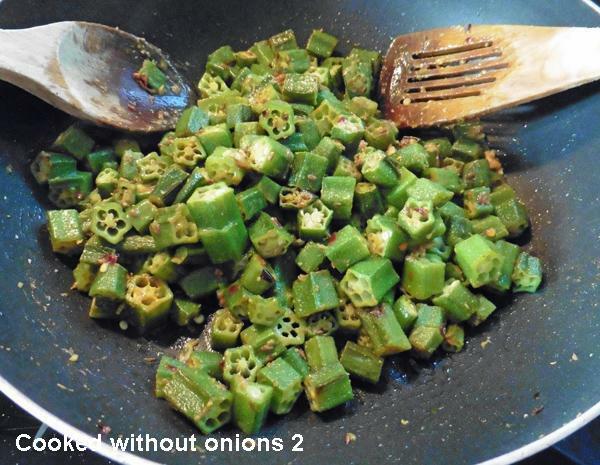 If any bhindi appear stringy/hard, discard. 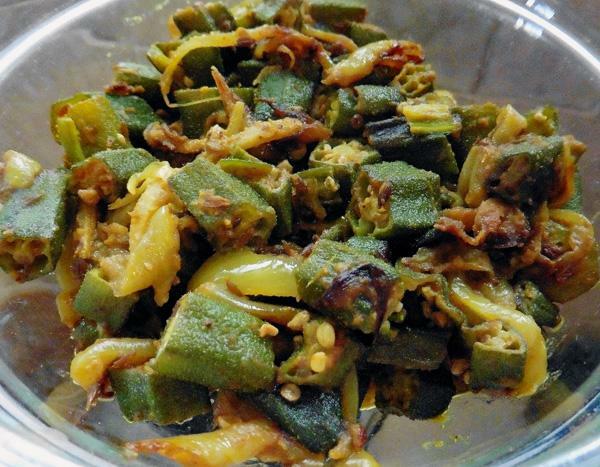 Slice bhindi thinly in either circles or split into halves or slice lengthways. See fist two photos. 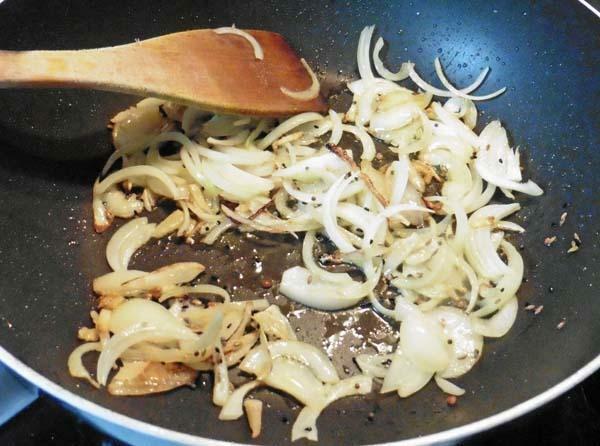 Chop onion, ginger and garlic finely by hand or in a food processor. 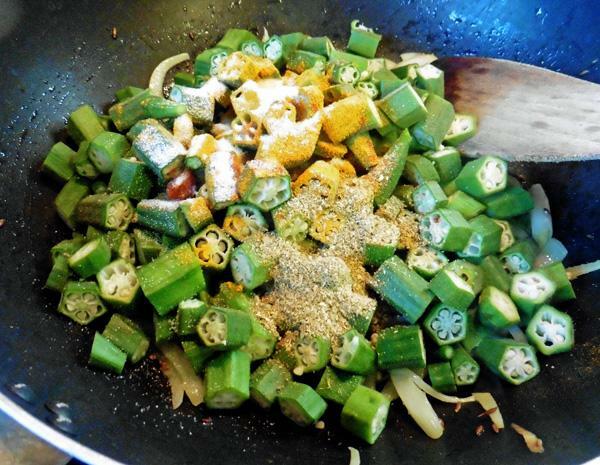 Add cumin/mustard seeds and hing powder and let the seeds splutter. If using mustard seeds, keep the lid on, because they jump everywhere! Add grated ginger (onion and garlic, if used). Stir fry for a couple of minute on high. Do not let onions burn. 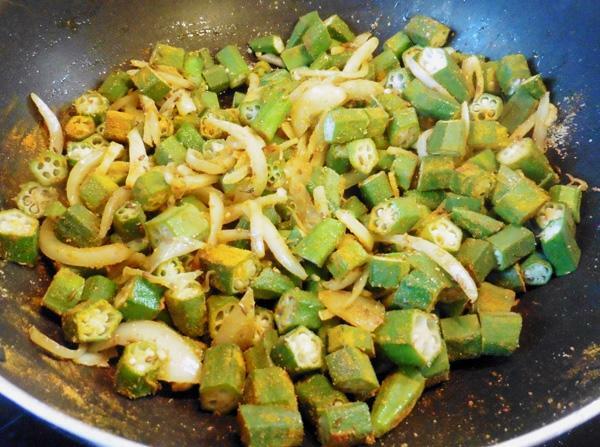 Add bhindi and all the spices and salt, stir fry for a few minutes, reduce heat to low-medium and cook covered for 15 minutes or so stirring from time to time. Fresh bhindies cook very quickly. DO NOT ADD WATER, it has its own released during cooking, which is more than enough. Water will make them slimy. Once bhindies are cooked, add garam masala and mango powder/amchoor. Stir fry until all the natural water is evaporated and the bhindies looks shiny with oil. Serve hot with Plain Parathas or a dal/meat or other curry of choice and Chapatties. Optional: For a Gujarati/South Indian flavour, use mustard seeds instead of cumin seeds and add 10-12 curry leaves along with mustard seeds. 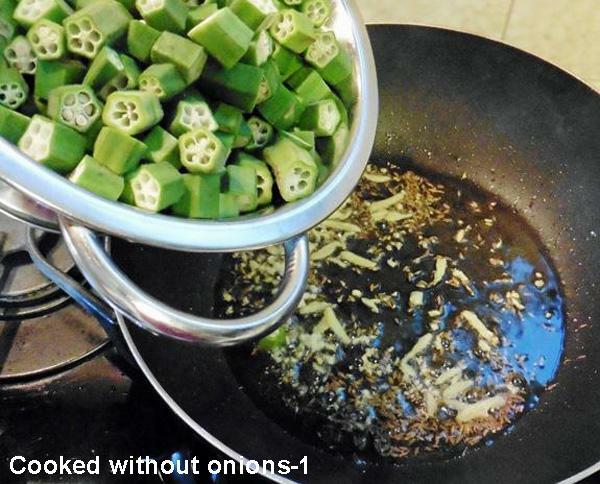 You can also add 1/2 tsp. sugar towards the end of cooking for Gujarati style.